In celebration of Valentine’s Day, we’re sharing stories of couples who met while riding Metro. 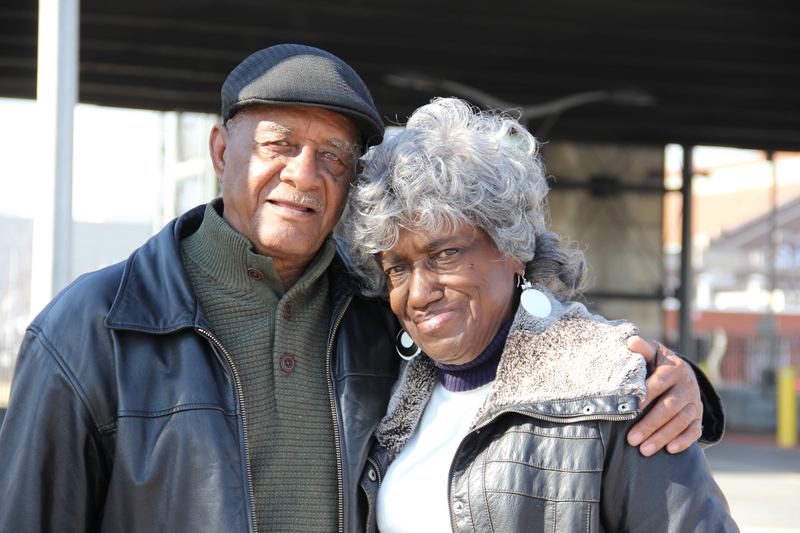 This week’s Passenger Profile features our second couple, Clenora and O’Neal. Clenora was on her way to work one day in 1961. She said she wasn’t looking for any romance at the time, but little did she know that romance was looking for her. And by boarding that particular Bi-State bus on that particular morning, her life would change forever. Back then, her morning commute started at the intersection of St. Louis Avenue and Jefferson and ended when she exited the bus at Grand and Chippewa where she worked. That particular morning, Clenora was already on the bus when O’Neal stepped onboard. It was a long commute and O’Neal wasted no time. He’d ask Clenora silly questions to keep her talking. Every day, they would chat on their way into work. After two weeks of friendly conversations, O’Neal took a chance and asked Clenora for her number – and he got it. It wouldn’t take long for O’Neal to call her and try to set up a first date. It’s fair to say O’Neal passed the family inspections with flying colors, and they went to see Bobby “Blue” Bland for their first date. Two years later, in 1963, they tied the knot at a local courthouse. Clenora said the ingredients of a strong relationship boil down to supporting the vows recited during the marriage ceremony and understanding that through the ups and downs, true love never wavers. “You have to remember to always love each other, get along with each other and know that it won’t always be perfect,” she said. 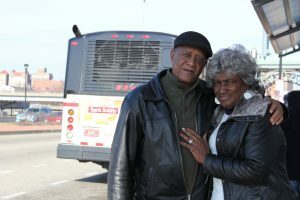 For 54 years, Clenora and O’Neal have remained true to each other, soulmates brought together by a Bi-State bus. “I think it’s when you’re not looking, that’s when you know it’s meant to be,” she said. Dianne Mays was born on Valentine’s Day, 1961, in Grenada, Mississippi. Her story goes that on the morning of February 9, 2010, she asked God to send her a man into her life. I, Lou Adolf, native Saint Louisan, claim to have chased the Browns out of town, coming into the world on November 18 of 1952. “What’s your name?” Dianne asked me early in the conversation. “My birthday is coming up: February 14.” D.
“This morning I asked God to send a man into my life.” D.
“I think I can make you happy.” I said. This woman can certainly make me happy. And has! Louis, this is a fantastic story! Thank you for sharing it with us. If you and Dianne are up for it, send me an email (mrhibbard@bistatedev.org) and we can set up a phone interview. After that, we can take a few photos and share your story with even more people. Let me know if that is something you’d like to pursue.